Fit With Lavash - English Personal Training in Berlin! "Hi, my name is Lavash! Great that you have found my page, I’m looking forward to being your new Personal Trainer in Berlin soon!" Do you dream of getting into the best shape of your life? Ever heard of that saying “If you look good, you feel good”? Some research suggests there’s a link between physical fitness and happiness. Physical fitness boosts energy levels, so that you are more productive, and it helps improving posture and therefore prevents you from getting back pain and other sorts of ailments. How do you know that what you are doing is actually helping you and is getting you fitter? Ever wondered if the excercises you are doing are done in the right way and are not causing more harm than good? Sure, there’s a lot of Youtube tutorials but every body is different and it’s hard to judge your form and progress yourself. That’s where my services come into place. I will help you doing the excercises in the right and safe way by offering you 1on1 training customized to your specific needs. This includes fitness testing and mobility assessments. That’s how we find out where your weaknesses are and which specific areas we need to work on. Additionally I will track your progress and make sure there is a steady improvement. Motivating you and getting you further than you could have imagined is my passion and I look forward to helping you with that. I am an official John Reed, McFit & High 5 Personal Trainer and can train you in any of these clubs in Berlin. If you are not a member of these gyms we can train at a place of your choice (outdoor is possible too). I’m originally from Johannesburg, South Africa, but have recently moved to Berlin from London, after spending 5 years in the city. As far back as I can remember being involved in some physical activity has always been part of my life. At just the tender age of 4, I was enrolled in my first Royal Academy of Ballet class. I completed 16 years of training and also enrolled into Indian Classical Dancing (Bharatanatyam) where I completed my graduation in 1996 and thereafter my Post-Graduate in the art form in 2003. After the dancing phase was complete I then found my love for fitness and enrolled into the local gym. I also started a career in the finance world and spent the next decade working in Investment Banking both in South Africa and London. 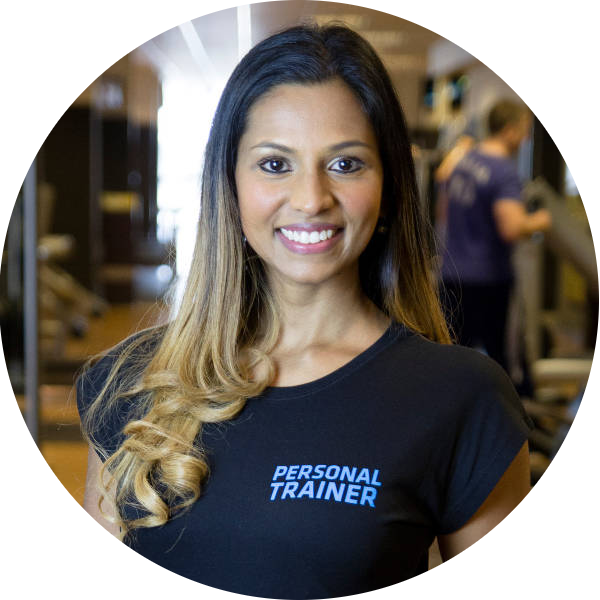 The passion for the fitness industry was always top priority and last year I decided to pursue my passion and complete my Personal Training Certification and retire from the world of Investment Banking. If you are feeling unmotivated and need a push, I will help push you and motivate you to be the best version of yourself! If you buy 10 sessions in advance, you receive a discount of 10%. Are you ready to get into the best shape of your life? Then get in touch now.